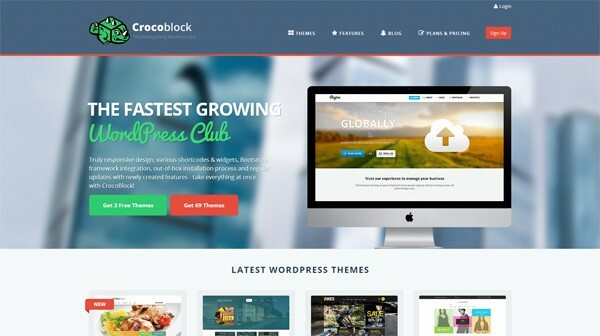 The newly launched CrocoBlock offers premium WordPress themes (as well as Jigoshop and WooCommerce themes). All their themes are powered by the Cherry Framework. The site currently has more than 60 premium WordPress themes, and 2 new ones are added every week. They also have a few free WordPress themes that you can download after you sign up on their site. For this giveaway, we’re giving out an assortment of 1-month free memberships to 6 winners. You can learn about the differences in features between these memberships here. How will you use your CrocoBlock membership if you win? The giveaway period is only until Tuesday, June 10, 2014. After this date, you’ll no longer be able to leave a comment on this post. Please use a valid email address when leaving your comment so we can send you an email if you win. The winners will be chosen using a SQL query that will randomly select 6 comments in this post. Comments that don’t follow the instructions on how to participate (described above) will be removed. Comments are moderated so your comment may not show up right away. The winners will be announced in another post after the giveaway has concluded.